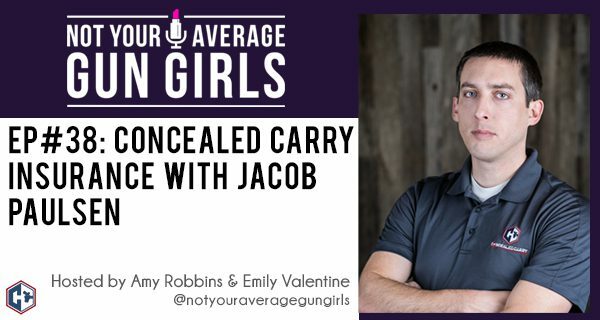 In this week’s episode, Amy and Emily welcome back Jacob Paulsen of ConcealedCarry.com to talk through concealed carry insurance. If you’re involved in a legal incident related to your firearm, or even a non-lethal defense tool, you’ll need to pay for a defense attorney. Having concealed carry insurance can help with that. Jacob talks through where to start, what to look out for, how much it costs and more.